Find attractions in Other, IN and other fun things to do. View our list of attractions, activities, events, restaurants and visitor information. Lincoln Boyhood National Memorial Top Attraction! National Memorial This splendid National Park is the site where Abraham Lincoln grew up. Learn about the lives of Abraham Lincoln and his family, who lived here in a pioneer community from 1816 to 1830. Charley Creek Gardens Top Attraction! Located in the heart of Wabash, Charley creek is a non profit horticulture center dedicated to the study , conservation, and appreciation of plants, through garden displays, education, and research. Free from dawn to dusk, 365 days a year. Spirit of Jasper Train Top Attraction! All aboard the Spirit of Jasper for a scenic excursion from the Jasper Train Depot. Recently named by Midwest Living Magazine as #3 in the Top Ten Best New Places to Eat, Play & Stay! All aboard the Spirit of Jasper for a scenic excursion from the Jasper Train Depot. Kokomo Beach Outdoor Waterpark Top Attraction! Kokomo Beach is a 10 acre complex that provides a variety of attractions that appeal to kids of all ages, including water playground, leisure pool, high energy drop slides, tube slide, lazy river, sand playground, and concessions. Rich arts facility and gallery. Providing both a rich arts facility dedicated to the presentation of quality exhibits for the public, as well as an open studio environment that fosters artistic interaction and the creative spirit. Also offers a variety of workshops. Interdisciplinary and interactive museum Housed in Indiana's first Carnegie Library building, the Carnegie Muse is an interdisciplinary and interactive museum of history, science and art. 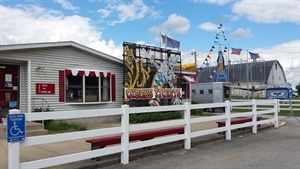 A circus museum in orignial circus winter quarters buildings The International Circus Hall of Fame is located inside the barns and buildings that still exist from the original American Circus Corporation winter quarters, now designated as a Historical National Landmark. Experience the area's rich history! Experience the area's rich history circa 1900-1930. 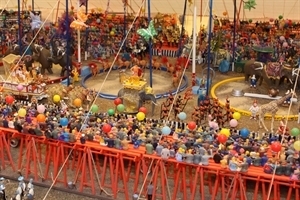 See the room-sized miniature Hagenbeck-Wallace Circus. Learn about the famous artists, politicians, and sports figures who once called the area home. Celebrating the legacy of Lew Wallace. A National Landmark dedicated to celebrating the legacy of Lew Wallace, Civil War Major General, diplomat, inventor and world renowned author of Ben Hur. A family-friendly Halloween event. 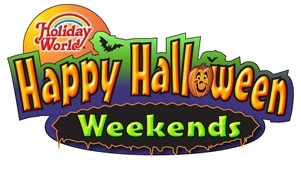 This family-friendly special event includes the rides you love at Holiday World, lots of fun seasonal activities, plus a huge new walk through adventure in 2018. 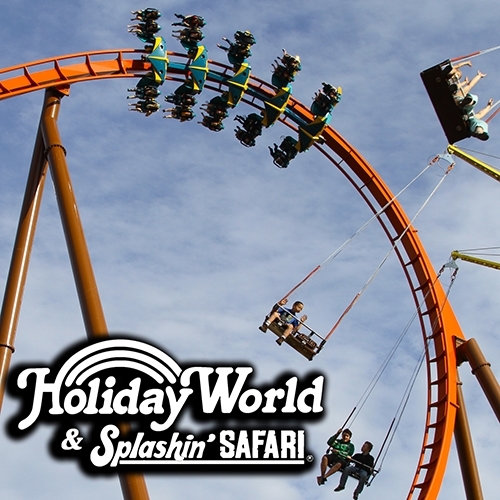 Family Theme Park and Waterpark Holiday World & Splashin' Safari is a family-owned theme park and water park combo, located in Santa Claus, Indiana. Visit Indiana's newest natural attraction. The cave system that Indiana Caverns is a part of, the Binkley Cave System, is now the 9th largest system in the United States. You can visit Indiana's newest natural attraction and show cave 363 days a year. Indiana Caverns offers an 80 minute tour daily starting at 9:00 am. The tour includes a variety of experiences: heights, depths, a waterfall, formations, a boat ride and ice age bones. 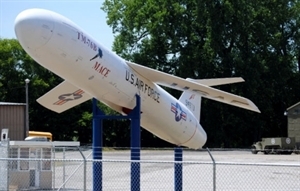 A diverse collection of military equipment and artifacts The Indiana Military Museum offers yet another reason to visit Historic Vincennes, IN. With one of, if not the best collection of military equipment and artifacts in the entire Midwest it encompasses memorabilia from the before the Civil War to the present day. Historic home of Henry S. Lane Home of Senator Henry S. Lane, founder of the Indiana Republican Party and pallbearer for Abraham Lincoln built in 1845. Also, on the site is the historic Speed Cabin, which was part of the Underground Railroad.